HOUSTON -- Perhaps nothing exemplifies Houston's heritage more than Hermann Park. The park's namesake, George Hermann, built his vast wealth on the industries that gave Houston its character -- oil, cattle and land. And early in the 20th century, Hermann donated the land that would become 407 acres of gardens, parks, a zoo and a golf course. Around it are some of Houston's most recognizable landmarks and distinguished industries. Folks from who live around and work at the Medical Center like to jog at Hermann Park, which is also the site of the recently restored McGovern Lake, Japanese gardens and Houston's most storied museums. The Astrodome is but a couple of miles away, and a Super Bowl was once played at 80,000-seat Rice Stadium, which sits on an Ivy League-like campus just to the north. The golf course opened in 1922 and was one of the first in the country to welcome players of all races. But like its big brother, Memorial Park, Hermann suffered over the years. So in 1997, Houston-based BSL Corp. was chosen to work in cooperation with the city's Parks and Recreation Department to bring luster back to the old jewel. Like at Memorial, it would mean a complete facelift -- this one courtesy of the late Carlton Gipson -- and a new clubhouse. With the exception of a few regulars who didn't like the increased green fees, the course reopened in 1999 to rave reviews. "From what it was before, this is a 180-degree turnaround," says Darryl Henning, Hermann's director of golf since 2000. "We've got a new clubhouse and new grass and greens. It's so much nicer now." Indeed, course conditions are country club quality. It might not sound exotic, but 419 Bermuda in the fairways and rough and 328 on the greens is a far cry from the crusted common Bermuda that once masqueraded for turf here. The same, of course, could be said for Memorial when it reopened in 1997. But unlike Memorial, Hermann is a walk in the park. Memorial, once the regular site of the Houston Open, plays well over 7,000 yards and hosts the city amateur each year. Hermann is just over 6,000 yards from the tips. 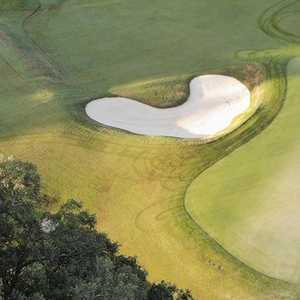 Its clientele is mostly mid-handicappers and seniors, many of whom like to play the par-70 from 5,000 yards or less. For many good players, the lesser yardage is a turn-off, but it shouldn't be. While hitting driver on most holes for long hitters wouldn't be advisable, to say Hermann Park doesn't hold challenge means you haven't played there. It's not going to blow you away, but Gipson built enough hazards to make good players think a little and hit a variety of clubs. The old course featured just one water hazard and flat greens. Now, water can come into play on nearly half the holes, approaches are to small undulating greens, and there are plenty of large oak trees with thick canopies for anyone venturing off the fairway. "It's much more challenging than its length would indicate," says Henning, "because if you get in those trees, now you're faced with a difficult shot out of the trees and over water. In most cases, it's a lay-up, so you've added a stroke right there." And then there's the wind, which can be two or three clubs on average. That makes the holes into the breeze play much longer than their yardage, and the downwind holes just more difficult with their tight landing areas and hazards. The fifth hole, for example, is only 389 yards, but it features a substantial pond in front of a small, sloping green with trees framing the hole from start to finish. Players often make the mistake of hitting an iron off the tee into the prevailing wind, leaving them a 4- or 5-iron for a difficult approach shot. That makes club selection critical, says Henning. "There's not much green to hit there," says Henning. "You go left and you could go out of bounds." The challenge is there, but so is relief. There are plenty of holes to score on. The first par-5, No. 6, is only 478 yards. It doglegs around some trees to the left, and long hitters should have no trouble hitting it in two. The second par-5, No. 13 is only 458 yards, but don't count on birdie. A lake divides it, so driver off the tee isn't advised. The closest you can get on the tee shot without getting wet is about 210 yards (unless you take it left of the lake into the trees), and the approach shot is to another small green with little room to miss left or right. Hermann Park isn't overly difficult, but it is enjoyable. Pace of play is usually reasonable, especially during the week, and for the most part it's also walkable. Green fees are fair considering the excellent course conditions: about $21 during the week (without a cart) and $30 to $42 on weekends (higher price includes mandatory cart on weekends before noon). Seniors and juniors can play during the week for about $6 or less. Much of the play comes from visitors to the Medical Center area and downtown. It's a convenient option for anyone looking for a casual round that won't break the bank. There are great restaurants in the Rice Village and downtown, but if you play Hermann Park, you owe to yourself to eat under the veranda at the spacious clubhouse dining facility. The food here is becoming as legendary as the golf course. One whiff of what's coming out of Ivery Black's kitchen should keep you there after a round. Black's story is as interesting as it gets. He spent three decades as a sports agent, representing the likes of NFL Hall of Famer Lawrence Taylor. Legend has it that he used to cook for his clients when they visited his house. Word spread of Black's authentic Southern delights, and Hermann Park and its guests are the lucky benefactors of Black's decision to make his second career in their kitchen. The grill features typical golf fare like burgers and wings, but Black always has something special going. On Friday nights, for example, its fried catfish, red beans and rice, cabbage and chicken wings. Most of the customers on Friday nights aren't even golfers. Black's cooking and the clubhouse's atmosphere have made Hermann a popular spot for weddings, receptions and parties. In fact, Henning has to limit outside business so his golfers can enjoy the food and hospitality. 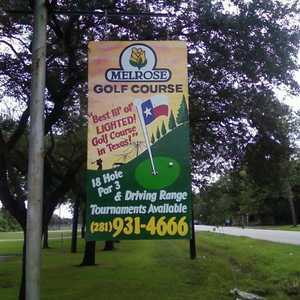 Carlton Gipson, who died March 19, 1998, has designed dozens of courses in Southeast Texas, including Greatwood, Cinco Ranch, Jersey Meadow, Weston Lakes and Galveston Country Club. He also redesigned the TPC at The Woodlands, former home of the Shell Houston Open, with an assist from PGA Tour player Jeff Maggert.